The Woven Series uses weaving, and mesh to speak of the grid, the reference to human culture, the rules we make and self impose. An offshoot of the ‘Cage Series’ work. It speaks to the history of cloth, frozen in a shape, then electroformed, blurred, grown upon to create the final solid. 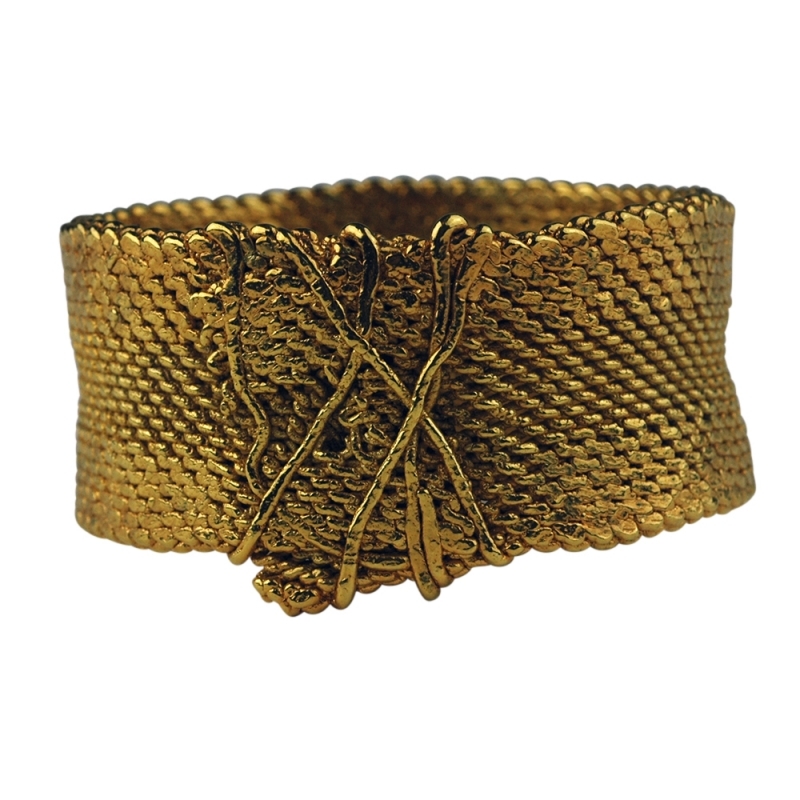 This bracelet is tied together, grown, hammered to refer to early cloth, and repair of cherished or recycled objects: Kintsugi. Measurements 6.4x6.3x3.5cm, Arm hole is rounded, 5.5x5.7cm across on the inside diameter. Material(s) ‘Woven Series’, Copper, brass, copper electroforming, 24k gold electroforming.